Twisted Triangle is the first complete narrative thriller about the sensational story of Margo Bennet, a married FBI agent, who had a love affair with best-selling author Patricia Cornwell, and whose jealous husband, Gene Bennet, a superstar FBI undercover agent, kidnapped and attempted to murder her. When the case first came to trial, it was reported in Vanity Fair, Newsweek, People, the Washington Post and the New York Times.Most profiles of Cornwell, written in the U.S. and abroad every time she releases a book, mentions this case and her relationship with Margo. Margo also was the inspiration for the heroine in Hostage Negotiator, a TV movie that came out in 2001. Now, for the first time, Margo Bennett has given Caitlin Rother complete personal access, sitting for interviews and turning over photographs, documents, records, and private papers. Twisted Triangle has the makings of a major bestseller: including the crazy dynamics of Margo and Gene Bennett's family, the brilliant FBI undercover career of Margo's husband Gene, the lesbian affair with celebrity author Patricia Cornwell, Gene's reactive kidnapping and attempt to kill Margo, Gene's insanity defense, the trial that validates Margo's story and shows she was telling the truth all along, and a happy ending to her tale of survival. Margo Bennet lives with her two daughters in Berkeley, California where she is a high ranking officer in the University of California police department.Gene Bennet is incarcerated in Virginia, not far from Washington DC where most of the events of this incredible story took place. 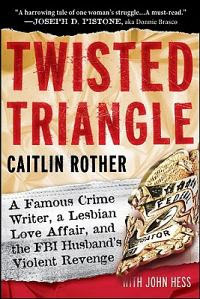 First of all,this true crime writer,Caitlin Rother,does explain right at the beginning that both Patricia Cornwell and Gene Bennet refused to participate with providing any information for this book.Thus,this book is written almost entirely from Margo Bennet's perspective.I do believe she was completely honest in providing unbiased details.The reason I believe that is from the fact that she says nothing deragatory towards Patricia Cornwell despite the fact that Patricia Cornwell had initially agreed to participate with this book and then backed out. I have never heard of this crime story before and I was tempted to read it because it mentioned the sordid triangle with her husband and famous author Patricia Cornwell.For others who might be interested for that reason,you will be sorely disappointed.Please note two extremely brief encounters with Patricia Cornwell is what happened here.If there were other details that resulted in a deep friendship,none of those details are included.There is also very little background information on the main characters. However,despite the fact that I feel I got "suckered" into reading this book by the tag line "Twisted Triangle: A Famous Crime Writer, a Lesbian Love Affair, and the FBI Husband's Violent Revenge" it still ended up being an interesting book.A wonderful underlying message throughout the book for abused women who might feel if they were physically stronger that maybe they would not be abused,this book puts paid to that thought.Margo Bennett was an experienced FBI agent who was still abused over many years by her husband.The book highlights the fact that spousal abuse is very much a mental assault which then evolves into physical abuse.By the time the physical abuse starts,the mental abuse has totally incapacitated the victim to the point where there is virtually no fight or will left. 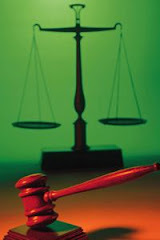 Despite these odds,Margo Bennett was able to eventually fight back and win,to the extent that her husband,Gene Bennett,was charged,albeit with a ridiculous sentence considering he was charged with attempted murder.Towards the end of the book,the impact on Margo's children and how it affected them now as adults also highlight the far reaching effects that abuse in the home has on children.I do not regret reading this book apart from the fact that I think the "tagline" is misleading as to what this book is truly about which is actually a courageous woman's will to protect herself and her children whilst dealing with a sexual identity which is for the most part still frowned upon and not totally accepted by all members of society. Hi Yvette, I missed this post or I would've chimed in by now. Yes, I believe that gay parents can raise children in the same way as straight couples. I think so, because my partner and I raised my daughter together ever since she was 2 years old. We are still a family and she still treats us both like Dads. She has never been embarrassed or ashamed. I did think a female role model was important, so I had my daughter involved in girl scouts, volleyball, choir, and I also had her in what is called "Big Brother Big Sister" program, where she had female mentor that devoted a certain amount of time each week with her "little sister." The "Big Sister" would do all kinds of things with her "little sister," stuff that a Mother would do with a daughter. It's a great program and is rewarding for the child and adult who volunteers. But there can be bad gay parents just as there are some bad straight parents. The key is putting the child's needs first, above everything. For us that meant never embarrassing my daughter with public displays of affection, or talk of personal things or anything that would make her uncomfortable. She had sleepovers and birthday parties and all the usual things that a child would have with a set of straight parents. The fact that she had two Dads never bothered any of the children, other parents, or teachers, etc. I hope that one of these days though a gay couple won't have to always be on guard as I was, as far as public displays of affection. Even if gay marriage becomes legal everywhere, there will still always be people against it, just as there are still racist people. They don't wear a sign saying "I'm a Racist," but there are plenty of them out. I know that too, because I have biracial grandchildren. I have told many people not to use the "N" word around me that I was offended. Of course, they would never use that word in front of black people--at least not to their face. For me, I decided early on that my child came first and that after she was grown and out on her own then I could do anything I wanted. It was not such a big sacrifice to make. Every set of parents should put their child's needs first, but too many parents both straight and gay want it all, but being a good parent is a full time job. The parents must limit their wants and needs and put their child first and make time for them. It's the same, whether the parents are straight or gay. Thank you so much John.This rounds off my post nicely and exactly what I wanted from someone who has had first hand experience with this issue.Really beautiful words.Your daughter is a lucky girl!